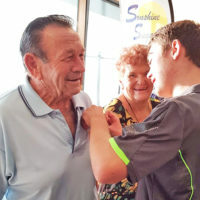 Each Jacaranda Thursday, while the rest of Grafton dresses up and celebrates in the CBD, the battle for the ‘bed pan trophy’ is being waged between Grafton’s hospital departments and Aruma Community Health. The annual Jacaranda dress up competition between the Northern NSW Local Health District – Grafton (NNSWLHD – Grafton) departments, draws stiff competition between both sides, in an effort to secure the most prestigious ‘bed pan trophy’. After the official judging there was great excitement when it was declared that the winner of the trophy this year was Aruma Community Health. 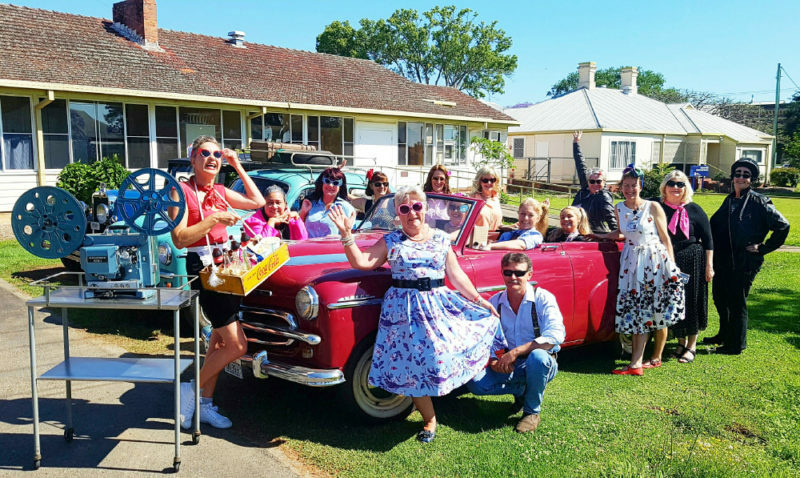 Michelle Thornton from Aruma Community Health said that their dress up theme this year was ‘Rock-Aranda-Ruma’ diner and drive-in theatre. “We had some great competition once again this year from Maternity, ED, Children’s Ward, Executive Office and the Accommodation Centre,” said Michelle. “We’d like to say a special thanks to Danny, Bob and Robert from the Grafton Vintage Motor Vehicle Club for the loan of their vehicles for the drive-in theatre. “We are already planning (for 2019 Jacaranda Thursday) – so look out next year,” she said.